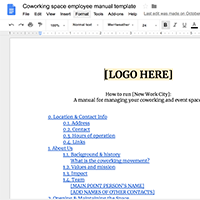 Compiled from 10+ years of managing one of the NYC’s first coworking spaces and helping thousands of people start new spaces all over the world, this toolkit is jam-packed with resources that can save the average coworking space owner countless hours. 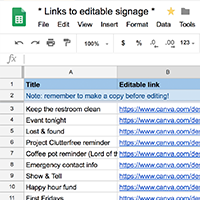 Handy templates, best practices, signage, and so much more! See details below and order it here! If you want an even better deal, register for our Organizers Club. For just a little bit more money, you get the toolkit plus a bunch more. Plug in a few key numbers, get detailed projections! 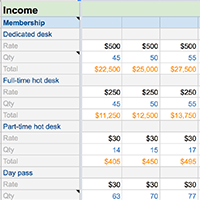 This premium template offers detailed breakdowns of costs and potential income sources, estimates capacity, and much more. This is a super valuable resource! 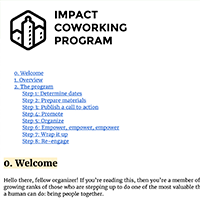 Where is your coworking community headed? Learn about the potential directions and exit strategies, then orient your actions around the one that feels the most right to you! 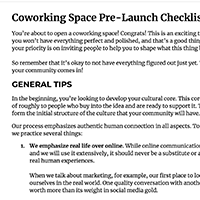 What needs to get done before you open your space to the world? Run through this checklist and make sure you’ve at least considered everything on it to ensure you’ll be off the the best possible start! Some members are going to be superstars, while others will prefer to sit back and observe. 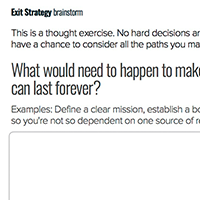 This worksheet helps you look at each level of participation and ensure you’re designing for healthy transitions between them. When you’re just getting started, how do you find your first members and lay the best possible foundation? This worksheet walks you through what you need to know to get started. 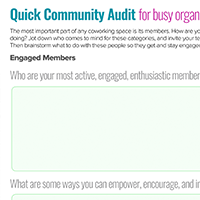 Easily evaluate all the members and their current level of engagement in the community. It’s super valuable, especially when working with a team, for everyone to know who the most and least engaged members are, so you can give them the attention they need. This makes that a lot easier! 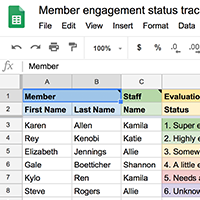 A simple, printable worksheet that can be used in tandem with the engagement status tracker. 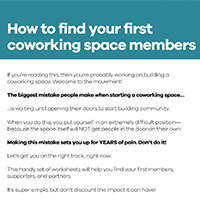 Need help running your space, but don’t want to spend the money to hire? Use this to recruit people to volunteer for shifts at your front desk! This is a huge document that took a lot of time to put together. Fortunately, you won’t have to spend that time! Easily create your own employee manual by using this as a starting point and filling in the blanks! 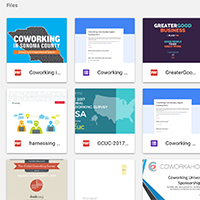 A handbook and a trove of materials showing you how to plan, promote, and run a program with a proven track record of helping spaces build amazing culture among their members. 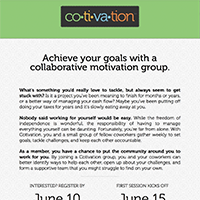 Learn more about Cotivation here. 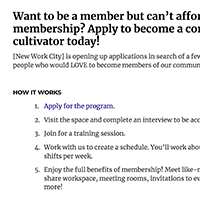 Integrate participation and healthy programming right into your membership model while maintaining a constantly refreshed community with this seasonal program. Learn more here! Member Show & Tells are simple but incredibly valuable program. 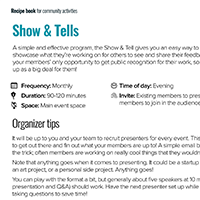 This printable event recipe will help you plan and promote a Show & Tell series with ease. 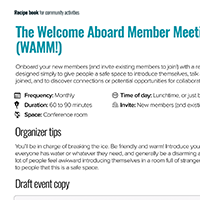 A printable recipe for a regular event that invites new and existing members to get to know each other. A great way to onboard new members into the community! A constantly updated compendium of studies, impact reports, resources, and whatever else we come across that we think might be useful. 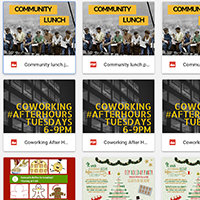 Got happy hours, work sprints, external events, meetups, and holiday events in your space? Easily promote them with the pre-made signage we used in our space. 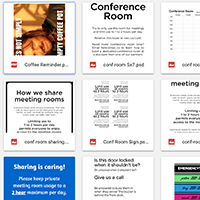 Need a polite way of asking people to vacate the conference room? (You will!) Need to clear out the space for an event at night? We’ve got signage for that and much more. Print and go!